The busy holiday travel season is around the corner. To make your travel experience as smooth as possible, we recommend these essential travel tips. If you're one of the many passengers travelling over the Christmas holidays, you may appreciate these tips on how to arrive at your destination with your festive spirit still intact. Where possible, avoid peak travel times and make arrangements to either leave early or stay late to avoid the rush. This applies to both on the road, and at the airport. Early flights have better on-time departure statistics - and in the case that bad weather causes a delay, you have all day to explore rebooking options. The last thing on your mind is to carry a heavy suitcase in the holiday season. If you can include everything you need into a carry-on bag, you will not only save on baggage fees, but you will also be quicker on your feet and more likely to get onto a standby flight. 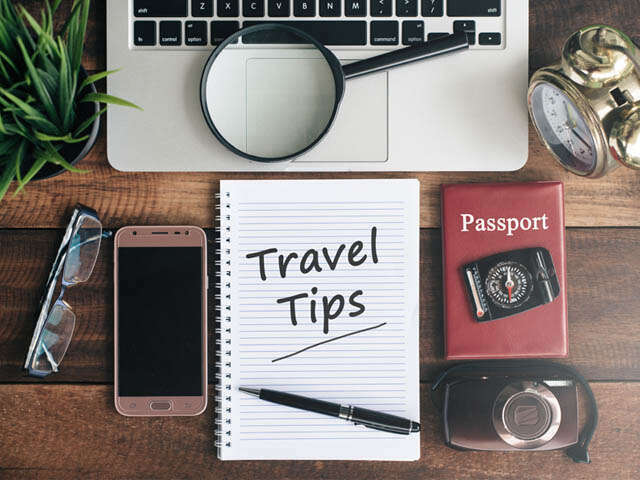 Make the security process easier on everyone by making sure you are familiar with the regulations before you travel. Know what can and cannot be brought through security, and pack accordingly. Have your liquids pre-bagged! Airline overbooking, weather delays, and terrible traffic are all main offenders in causing holiday travel stress. If you should be unfortunate enough to find yourself facing a long wait at the airport, make sure you keep yourself - and any potential small people - entertained with plenty of books, movies and games. If you have airline or hotel bookings, call ahead and confirm a few days before your trip. On the day of your flight, confirm the flight time before you travel. Don't underestimate the holiday traffic! Things can get crazy on the roads, on public transport and at airport security gates. Arrive at least 2 hours early for domestic flights, and 3 hours early for international departures. Should things go wrong - your flight may be delayed, or your luggage lost - stay calm and call your UNIGLOBE Travel expert. They will use their expertise to get you back on track.